Please note: Refunds are given upto 6 weeks before the event start date. After this time refunds will be given once all tickets are sold. Your reality is about to be altered and your life turbo-charged beyond all measure. This is for those that are Truly Ready to Experience Life Beyond the Veil of Illusion! We are holding a very special retreat in Holland (for 40 participants only) where the energy of the Incredibly Powerful Star Magic Healing Frequency will be combined with Mother Natures Super-Powerful Ayahuasca, an ancient Plant Medicine used by indigenous tribes to expand consciousnesses and enter the spirit world to journey and communicate. This will be 4 days of Cosmic Discovery, Deep Healing and Remarkable insights. There is NOTHING this transformative being offered on the Planet right now. The Star Magic Tribe is taking you DEEP INTO SPACE! 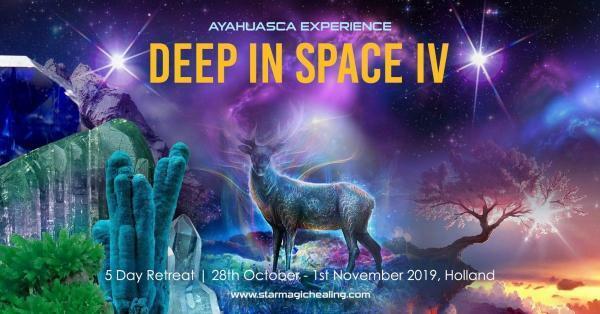 The entire 4 days will be spent journeying though Deep Meditation, Ayahuasca and Star Magic Group Frequency Healing’s. Your Entire Paradigm is about to SHIFT!!! Ayahuasca is an old ancient mystical plant with its origin in the Amazon. Originally it was only the shaman who took it to come in contact with the ‘spirit world’. In that way he could gain insights about the tribe and its members. Today Ayahuasca has made its entry into Europe because of the strongly purifying and transformative power. Even science in the west started to examine the healing power of Ayahuasca and other enthogenes (consciousness expanding products). According to traditions in the Amazon, Ayahuasca is a plant teacher, closely connected to mother Earth (female energy – the divine feminine). It is sometimes called ‘La Purga’ (the purifier). It is a unique way to purify your body and mind of toxicity that has been collected during our present and parallel lives. It is a plant medicine that can help each and every one of us to discover the truth within our own cosmic hearts. The working element in Ayahuasca, that makes it possible to expand our consciousness, is called DMT (Dimethyltryptamine). DMT is a body-like substance that is part of any living organism on this earth. In humans this substance is made in small amounts in the pineal gland (located in the centre of the brain). It is released while dreaming. To make sure we stay in this 3D reality, our stomach breaks down the DMT in our food by means of a MAO-enzym (monoamine-oxidase). Before we drink the Ayahuasca we take a MAO-inhibitor so the Ayahuasca can be absorbed. There are different types of Ayahuasca but the plant we will use in our Star Magic Ceremony is called Jurema (Mimosa Hostilis). It has a very high concentration of DMT. Ayahuasca opens your inner senses and brings you into a space where you will experience deep and profound spiritual states of consciousness. In this way you receive life lessons, get knowledge about transpersonal realities. You can have visions about the future and past of the earth, the cosmos and yourself and so much more. It is a real game changer. Ayahuasca not only opens you up to spiritual realities, it also opens your unconscious pain body. The pain body is a part of your subconscious where painful, fearful and disappointing experiences are stored. Suppressed things/events/circumstances from past lives/parallel realities make up a part of your pain body. There are experiences stored on the deepest levels, within your cells and bones that are related with birth and death, the 2 gates through which the soul journeys from one life to another. Ayahuasca will ensure you are brought to the point of trauma so it can be released and you experience a gigantic shift that will elevate your life forever. 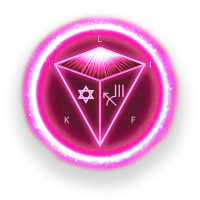 Opening communication with angels, extra-terrestrials and other beings beyond the physical reality. Although an Ayahuasca ceremony certainly is a mystical experience and very sacred, there are no rituals and obligations. It is an individual journey where the group energy builds and which will in turn, enhance your personal experience. A number of experienced Facilitators will be with you for the entire journey. You will be in safe hands and in a safe environment. You will have a 5* vegan chef on site for the 5 days preparing all of your food. The Venue is 1 hour from Amsterdam Airport. You do not need to have taken Ayahuasca before to come to this retreat. You do not need to have experienced a Star Magic workshop before coming to this retreat. It is for everyone. Just know that you are not coming to dance around the borders of consciousness. You are coming to explore this colossal universe and journey deep into your own Cosmic Heart. Deeper than you have ever travelled. If you are an experienced woman or man in the Spiritual Field, we guarantee you, and we don’t say that lightly, that you will have the most Powerful and Profound experience of your life. Join Us and Change Your Life Forever!